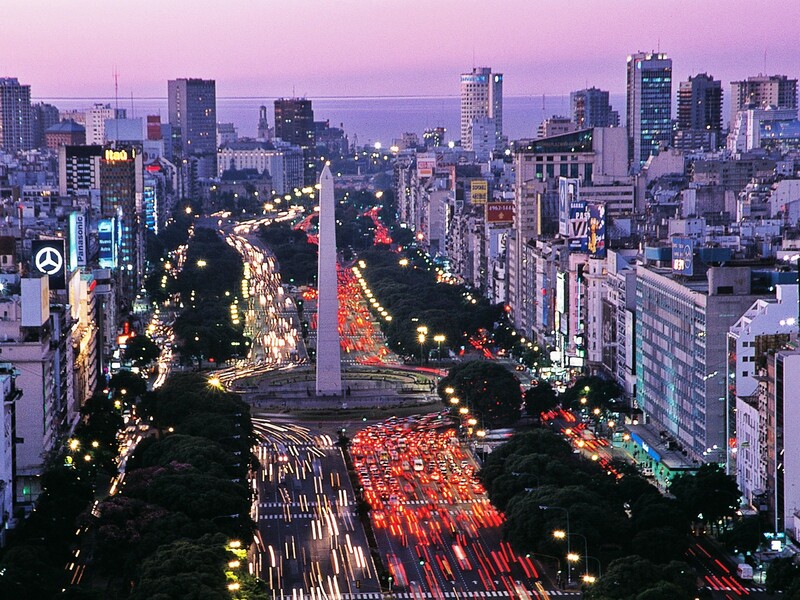 Proudly proclaimed South America’s most charismatic city, Buenos Aires is a unique mixture of Latin passion and colonial grandeur. French Cafés and Italian coffee shops vie for attention with New York City style speakeasies and authentic Argentinian steakhouses, creating an atmosphere that is impossible to pin down, ever changing, and constantly varied. This cultural diversity, matched only by its vibrancy, is the result of the waves of immigration that also gave the city’s inhabitants their name; Porteños. With such a rich and varied history to explore travellers might be tempted to first head to La Boca’s Caminito; an open air museum come tourist trap famous for its bright conventillos (tenement buildings) decorated with leftover paint from the local shipyards. A much better way to see real Buenos Aires however is to find somewhere to soak in the boho vibes of the modern city, catch a matinée tango performance or simply sip a coffee watching the city’s artists, poets and musicians coming and going, so here are our favourite barrios (districts) and a few of the many cool places to chill out. Palermo is an amalgamation of smaller districts with one thing in common – they are all favourite haunts of the city’s hip young crowd. A fierce competition rages between Soho and Hollywood for the title of coolest Palermo, but luckily travellers are not forced to choose; Soho’s quaint cafés, specialist bookshops and avant-garde art galleries are most alive during the day, while Hollywood’s bars come alive when the sun sets. Both are gathering points for the city’s student and backpacker crowds. A small café at the back of a large bookstore, this is the perfect place to at least pretend to be an intellectual. The high ceilings, dark wooden bookcases and ladders (yes, actual ladders!) give this hangout an old-world feel, and the food and drink is truly remarkable. Most of the books on display are in Spanish, but there is also a small English section for bookworms to enjoy – everyone else can simply soak in the atmosphere. Secret speakeasies are popular amongst Buenos Aires’ wealthy young party goers, with highly exclusive guest lists that turn them into little more than members only clubs. Requiring only the solution to a puzzle posted on Facebook and Twitter to get in, Frank’s attracts a cooler, hipper and less exclusive crowd. It retains its speakeasy vibes courtesy of its discrete entrance and the Bond style phone box entrance, but without the snobbery, and with affordable (although not cheap) cocktails. Somewhat edgier, but no less popular, than Palermo is San Telmo; an exciting, bohemian barrio known for its crumbling colonial architecture and cobbled streets that come alive with a weekly market. It is also one of the best places to see the tango, with performances that take over the many squares, and then of course there is San Telmo’s distinctly underground nightlife scene; an intoxicating mixture of tiny traditional drinking holes, trendy cocktail bars and everything in between. Heirba Buena brings an Argentinean twist to vegetarian restaurants – it also serves meat. Odd? Perhaps, but it is definitely welcoming to find somewhere anyone who appreciates good food can get something tasty, organic and authentic without being glared at by ‘meat is murder’ t-shirt wearers. Somewhere between juice bar and French café, Hiera Buena’s all inclusive menu and vintage décor make it a must visit for any foodie. Stepping into El Federal is akin to stepping back in time to Buenos Aires as it would have been at the turn of the 19th Century. It foregoes the hipster chic faux-industrial aesthetics of so many modern hangouts in favour of authentic, beat up furniture, original tiled floors and an ornate bar that is over 100 years old. The effect is a traditional Porteño vibe that works equally well whether you are after a quick mid-morning coffee or a steak and Malbec in the evening.